Two Companies with the same commitment to technological innovation and customer service come together to deliver superior products and support. GSC IT Solutions is excited to announce that it has recently become an authorized Ruckus Wireless partner with the ability to design and implement Wi-Fi Internet solutions that leverage Ruckus’s extensive portfolio of products. Ruckus is a pioneer in the wireless infrastructure industry with more than a decade’s worth of patented technologies to offer simply better connections and customer experiences—at a fraction of the cost of alternatives. Through partnership with Ruckus, GSC IT Solutions can now offer a complete line of high-performance access infrastructure, including Wi-Fi controllers, Wi-Fi access points, and wired Ethernet switching combined with network security, analytics and management software, and professional services and support. GSC IT can now more easily offer solutions to address the needs of a diverse array of industries: small & medium businesses, higher education & primary education, hospitality, multi-dwelling units, public venues, retail Wi-Fi solutions, service providers, smart cities, and many more. Founded in June of 2004, Ruckus delivered its first product in September 2005 and hit one million shipments by January 2007. It quickly became known as a wireless technology innovator and grew across enterprise and carrier markets. Ruckus delivered the industry’s first adaptive antenna technology to overcome RF interference on Wi-Fi networks, followed by industry-first 802.11n and 802.11ac products—certificate-based security and location-based software. In other words, Ruckus invented some cutting-edge technology. In November 2012, the company went public, and in 2016 became a part of Brocade. Today, Ruckus offers a complete line of high-performance access network infrastructure. The company innovates across both wireless and wired technologies to meet the needs of enterprises and organizations of all stripes and sizes. 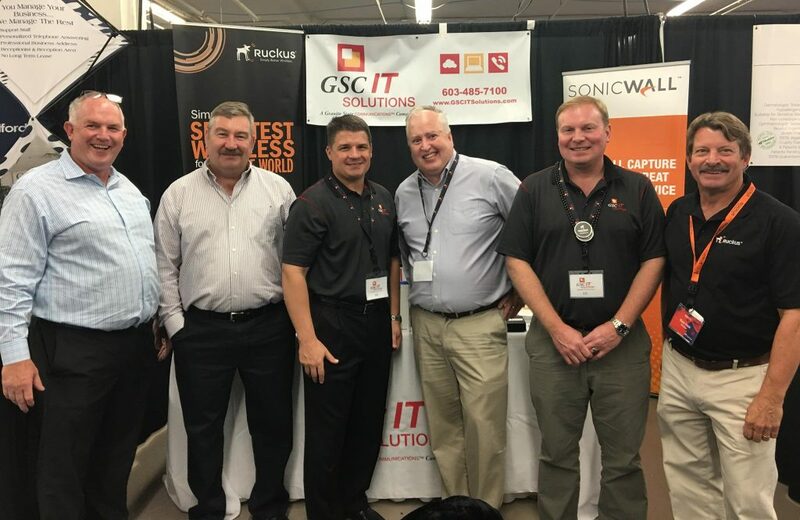 GSC IT Solutions (part of the Granite State Communications family) has been providing computer networking solutions for over 30 years. The company specializes in helping businesses, non-profits, and municipalities manage their IT needs. GSC IT is locally owned and operated with a strong reputation for providing outstanding and proactive customer service. Formerly known as Cocci Computer Services, the Cocci family founded the business in 1982 on a full-service concept that continues today. Cocci Computer Services was acquired by Granite State Communications in September 2011 and made the transition to a new name, GSC IT Solutions, in 2015. Granite State Communications is one of the oldest, independent telephone companies in the United States. What began in 1877 as the Chester and Derry Telegraph Company has grown into a state of the art telecommunications provider for 8,000 customers in 7 communities in New Hampshire. A family-owned and operated business for three generations, the company currently offers a range of services including ultra-high-speed fiber optics and fully-managed computer security and support services.